It takes time for a change in the new artistic director to come into full effect, so that whilst Covent Garden has announced the 2018/19 season the hand of the new director of opera, Oliver Mears, is probably only gently discernable. It is perhaps not a spectacular season, there seems little that is 21st century and nothing in the way of rarities. But new productions include Hansel and Gretel, Queen of Spades, Katja Kabanova, La Forza del Destino, and Billy Budd with gaps being intelligently filled by bringing productions from other houses. Other newcomers this season will be the rebuilt foyers and Linbury theatre, much to look forward to there when the house final opens again properly. And over at the Royal Ballet, there are new ballets from Alastair Marriott and Sidi Larbi Cherkaoui. Anthony McDonald's new production of Humperdinck's Hansel and Gretel is deliberately family friendly, we are promised 'fairy-tale charm with a dash of wit' and knowing McDonald I am sure it will be a delight. Hanna Hipp and Jennifer Davis are the children and unfortunately, the Witch is a man (Gerhard Siegel). Sebastian Weigle conducts. 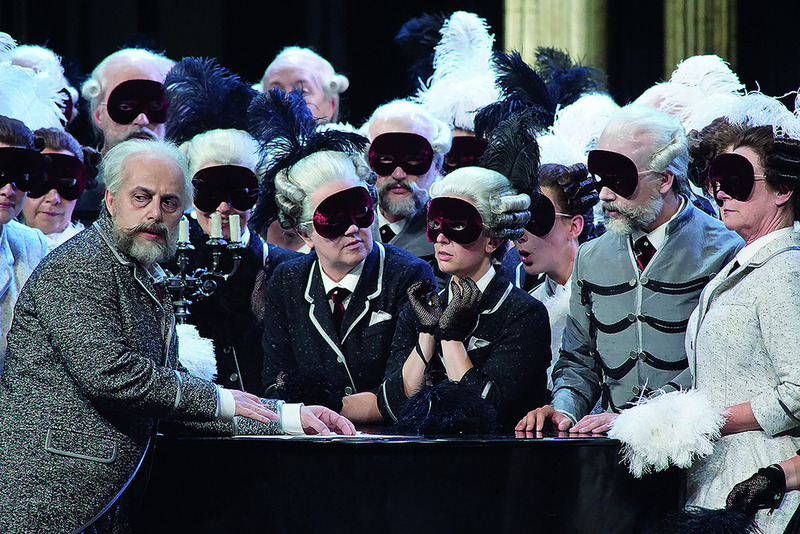 Stefan Herheim's production of Queen of Spades debuted as Dutch National Opera, and it features Tchaikovsky himself in the staging. Antonio Pappano conducts a cast including Aleksandrs Antonenko, Vladimir Stoyanov, Eva-Marie Westbroek and Felicity Palmer. Probably worth seeing for Palmer! Also coming from Dutch National Opera is Christof Loy's La Forza del Destino. Antonio Pappano conducts with a double cast, Anna Nebrebko/Jonas Kaufmann, Lludmyla Monastyrska/Yusif Eyvazov, Ludovic Tezier/Christopher Maltman. With strong memories of David Pountney's remarkably focussed production of the opera for Welsh National Opera, it will be interesting to see how Loy deals with this sprawling masterpiece. 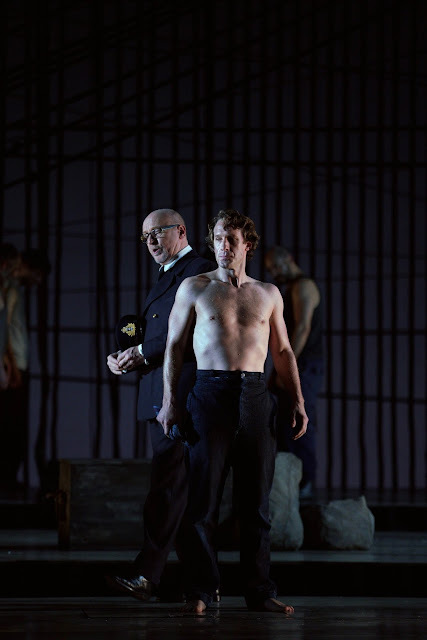 From Spain comes Deborah Warner's production of Billy Budd conducted by Ivor Bolton (who conducted in Spain) with Jacques Imbrailo, Toby Spence and Brindley Sherratt. Exciting indeed. The exploration of Janacek continues with Katja Kabanova directed by Richard Jones (an intriguing combination), conducted by Edward Gardner (nice to see him conducting opera in London again), with Amanda Majeski as Katja and Susan Bickley as Kabanicha, plus Pavel Cernoch, Andrew Tortise, Emily Edmonds and Andrew Staples. The big revival news is that Keith Warner's Der Ring des Nibelungen is coming back (for the last time I understand) with Stefan Vinke and Nina Stemme, plus John Lundgren as Wotan, Emily Magee and Stuart Skelton as Sieglinde and Siegmund. Antonio Pappano conducts. Other revivals include Barrie Kosky's Carmen, Richard Eyre's La Traviata with both Ermonella Jaho and Angel Blue, Faust with Michael Fabiano, Erwin Schrott, Diana Damrau and Stephane Degout. Roberto Alagna and Sondra Radvanovsky headline a revival of Andrea Chenier, Bryn Terfel returns to Boris Godunov, conducted by Marc Albrecht. The latest revival of David McVicar's Le nozze di Figaro includes Christian Gerhaher and Simon Keenlyside, conducted by John Eliot Gardiner, certainly a revival to be savoured. And Cherubino will be sung by counter-tenor Kangmin Justin Kim! Over at the Royal Ballet, the big warhorses are out with revivals of Mayerling, La Bayadere, The Nutcracker, Romeo and Juliet and Don Quixote not to mention Liam Scarlett's Frankenstein (which uses music by Lowell Liebermann). Frederick Ashton is also celebrated with Les Patineurs (in a triple bill with MacMillan's Winter Dreams and Jerome Robbins The Concert), The Two Pigeons (in a double bill with Liam Scarlett's Asphodel Meadow), A Month in the Country (in a triple bill with Fokine's The Firebird and Balanchine's Symphony in C, which pops up below too!). There are two new productions, a new Alastair Marriott ballet to Dario Marianelli in a triple bill with Wayne McGregor's Infra and Balanchine's Symphony in C, and a new Sidi Larbi Cherkaoui in a triple bill with Christopher Wheeldon's Within the Golden Hour and Crystal Pite's Flight Pattern. Full details from the Royal Opera website.